MeriTalk reporters and editors were awarded a first place (gold) and two second place (silver) regional awards for excellence by the American Society of Business Press Editors. MeriTalk Technology Reporter Jessie Bur took first place in the Enterprise News reporting category for her on-location reporting of encryption protests outside FBI headquarters in Washington, D.C. 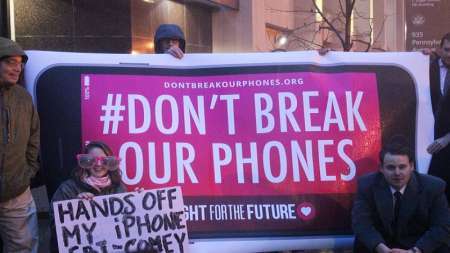 Despite cold and rainy conditions, hundreds of protesters gathered on Feb. 23 to protest a court order that would have forced Apple to develop software to enable the FBI to access the encrypted iPhone belonging to the terrorists who carried out the shootings in San Bernardino, Calif.
Bur’s enterprising on-location reporting resulted in exclusive interviews with protest organizers and unique photography that detailed the event. MeriTalk Executive Editor Dan Verton was awarded a silver award in the Impact/Investigative reporting category—the only award given in the category—for his investigative reporting into the unknown failures of the health care enrollment app at the center of the Department of Veterans Affairs’ Vets.gov website. In August, as President Barack Obama stood in front of the Disabled American Veterans Convention and publicly hailed the success of a new health care enrollment app on Vets.gov, the system had actually been spinning out of control for months. Verton’s reporting dug up hundreds of internal VA documents showing that thousands of applications had been either lost, locked, or deliberately marked ineligible for benefits without legal justification. MeriTalk Copy and Production Editor Linda Tufano, along with creative designers Chad Heathcott, Manuel Hernandez, and Dan Reighard, also took home a silver award for a series of infographics explaining various high-profile topics in Federal information technology. 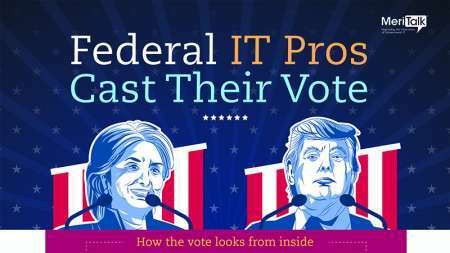 One of the most popular detailed the differences between two competing IT modernization bills in Congress. Tufano also led the development of an infographic based on an exclusive survey of Federal IT professionals that analyzed their preferences during the 2016 presidential election. MeriTalk’s silver award was one of only two entries chosen for an award in the category.